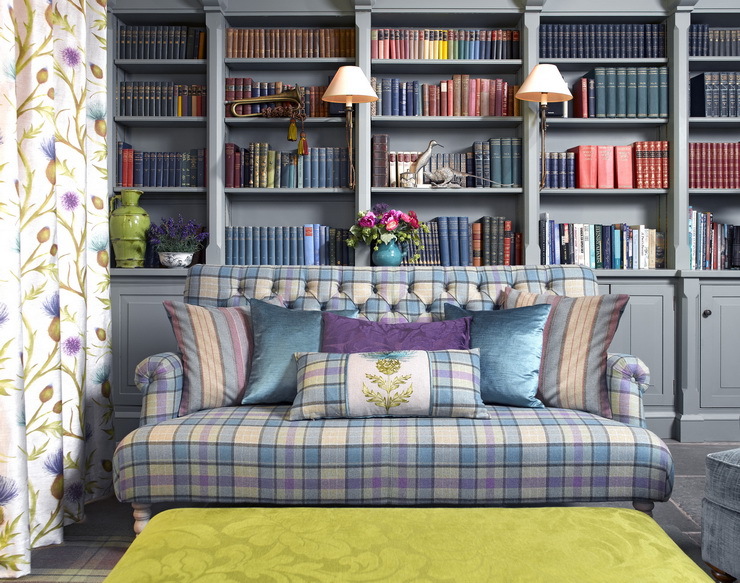 Are you scared of bringing together more than one pattern in your room or living space? Do you fear not getting it right and hence prefer to forgo it completely? Most often we’ve seen this happen. Mixing patterns is definitely one of the toughest tasks to accomplish in interior design, but it can make a world of difference to the look and feel of your space if you do it right. Tips To Master The Art Of Using Patterns In Your Home! If some basic rules are kept in mind, you’ll be able to mix patterns like a pro bringing about great dynamism and personality to your room. Let’s see what these rules are. Like always, stick to your personality, this is very important. If you are a bold, outgoing person who loves travelling and meeting new people, this could very well be the theme for your living space. You could consider including material combinations and patterns which echo your travel sentiment; showcase your travel memorabilia and travel photos weaved around bold patterns and a bright colour palette. On the other hand, if you are a writer who likes his cosy nest to write away and finds inspiration in nature, you may choose nature-inspired patterns, florals, sober solids and such. So, decide on the basic overall theme of the room first. Patterns work well in odd numbers, the ideal number being three. Go for five if you feel confident or if it is a really large space. Combine patterns that complement each other. One solid large pattern, one medium-sized and one small pattern should work just fine. It can also be one large pattern and two small patterns as well. It is important to stick to the same colour intensity to achieve that perfect look of patterns. Also, there should be one common colour or colour tone that is present in each pattern. This will make the overall look very appealing to the eye. Rule #5: Where to put what? A simple yet handy rule to go by is using a large pattern on a large empty space such as a wall or bed cover and using a small pattern on small spaces such as lampshades, side tables, and other accessory furniture. Distribute patterns evenly throughout the space instead of crowding them in one corner. This is a common mistake committed by over-enthusiastic designers! Use solids to give a break between patterns. Now that we know the basic rules, let’s move on to see what kind of patterns we can use for your interior abode. Patterns You Can Experiment With In Your Home! Stripes can be horizontal or vertical. They can be of different girths and colours. 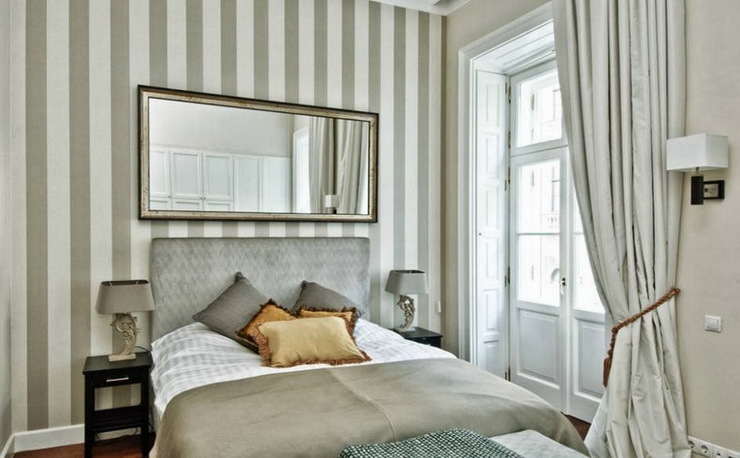 Sometimes vertical stripes are used to increase the visual height of a room. Similarly, horizontal stripes can be used to increase the perceived width of a room. The pattern is commonly used on wallpapers, bedding, pillow covers. Blend them with geometrical patterns, polka dots, animal prints, and solids. Polka dots instantly give a light-hearted, feminine touch to a living space and are known to transform a piece of ordinary furniture to look extraordinary and fashionable. Big bold dots suit bigger spaces like curtains, walls while small dots adorning accessory furniture and pillow covers are not uncommon. Polka dots are a little girl’s favourite, so think of creative ways to use it in her room. Mix it up with stripes, florals, and solids of the same colour tones. Another favourite among geometrical patterns is the Chevron. 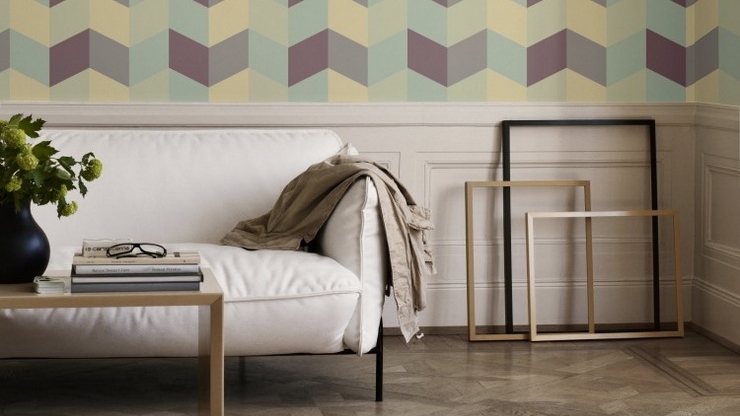 This zigzag row of colour can add a lot of glamour to your living space. If you are considering a pattern for floors, this can be a good choice. Wallpaper, carpets, throws, and curtains can carry the bold chevron pattern elegantly. Mix it up with florals and solids to give a stunning look. This pattern usually consists of traditional motifs, designs woven on rich silk or linen fabric and was earlier commonly used in upholstery and table linen. 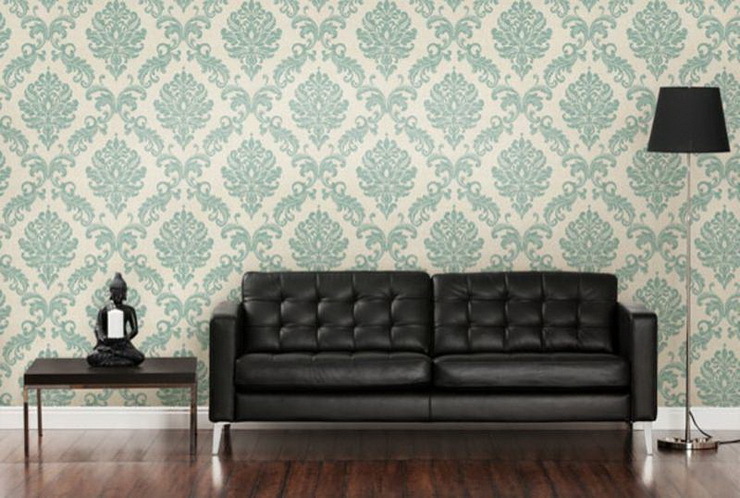 Nowadays, it is very common to see this pattern on wallpapers as they give a very luxurious feel to the room. Considering its intricate pattern, they can be mixed up with subtle stripes, florals, and solids. Romanticize your living space with a touch of floral. They are a favourite for princess rooms, children’s rooms and even family rooms. They can be generously used in wallpapers, carpets, draperies, bedding & pillow covers and other upholstery. Florals pair well with stripes, geometric designs, and polka dots of similar colour tones. Paisley stands out with its distinctive drop-like design and intricate workmanship. It is generally used in upholstery although the recent trends suggest they make for good wallpaper designs as well. Paisley provides a royal touch to a living space and it goes well with stripes, solids and other geometrical designs. Ikat is a decorative fabric made using a resist-dyeing technique where yarn is tightly wrapped in desired patterns and then dyed to create elaborate, multicoloured patterns. Ikat patterns provide a traditional yet global look to the living space. This is commonly used in drapes, bedding, upholstery and pillowcases. It works well with solids, geometrical patterns, and stripes. If checks are your thing, go for plaid. Plaid stripes include more than one colour usually of varying thickness and that’s what differentiates them from Gingham (plain checks of the same colour and same thickness). Just make sure the colours match up with the other patterns and you have a sure shot winner here. They can be creatively included in upholstery, drapes, wallpapers and pillowcases. The plaid pattern can be teamed up with floral, polka dots, ikat, damask, and solids. This historical design consisting of four lobes is reinventing itself in today’s times by getting featured on wallpapers, bed covers, trendy pillows, carpets and table linen. The design as such can be used to make metal frames at entrances, bedside railings, staircase railings etc. They can be fused with florals, ikat, polka dots, stripes, and solids. Trust your instincts and choose wisely if you think animal prints can make a splash to the look of the otherwise sombre setting. The key to using animal prints is to not make it overwhelming but complementing it well with the other features of the room. Animal prints can be used on bedding covers, pillow cases, seating upholstery, and carpets. They can be matched up with polka dots, chevron, stripes, plaids, and solids. Our list above should have given you enough motivation and ideas to mix and match patterns for your new abode. To know more about what may work best for your home, contact Hipcouch today! Newer PostUntil Death Do Us Apart: Secrets Of Designing A Home You’d Love To Stay In FOREVER! Older PostTips To Design A 'Happening' Workplace Canteen!